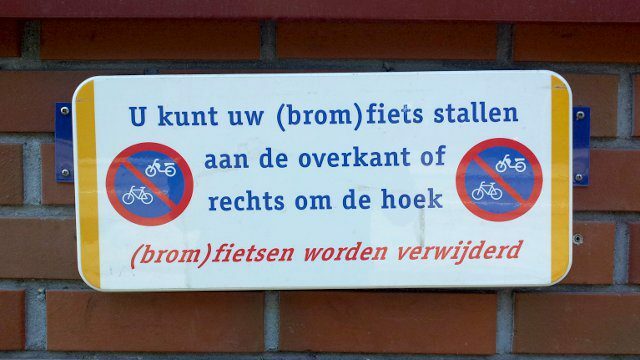 U kunt uw (brom)fiets stallen aan de overkant of rechts om de hoek. I wonder what the difference is. There’s a Wikipedia article about “fiets”. 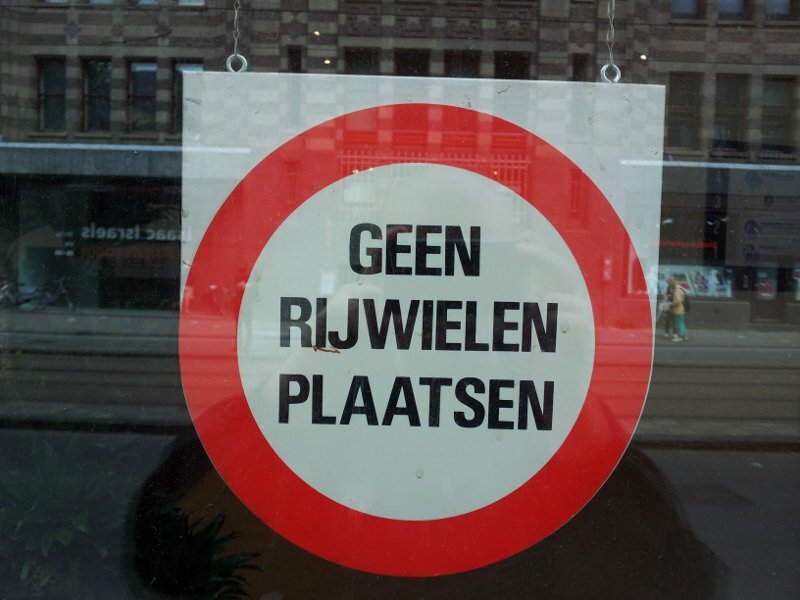 If I look for “rijwiel”, I get redirected to the same article about “fiets”. My knowledge is not enough to get through the article, but according to what I could get the word “rijwiel” should no longer be in use. I should get back to this article later, maybe after I am done with Di3m. 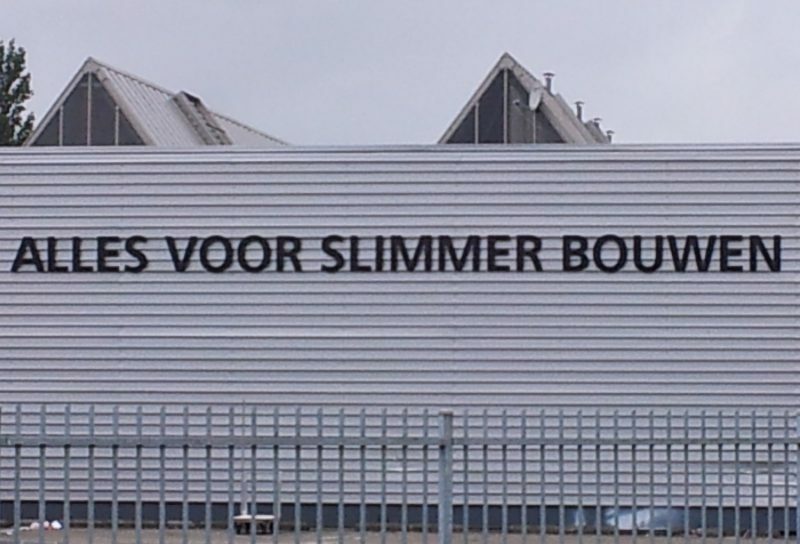 Op een servet: “Wij bewaken de kwaliteit van onze producten”. A note on a napkin at a railway station fast-food. On a napkin: “We monitor the quality of our products”. It’s been figured out with a help of my friend. 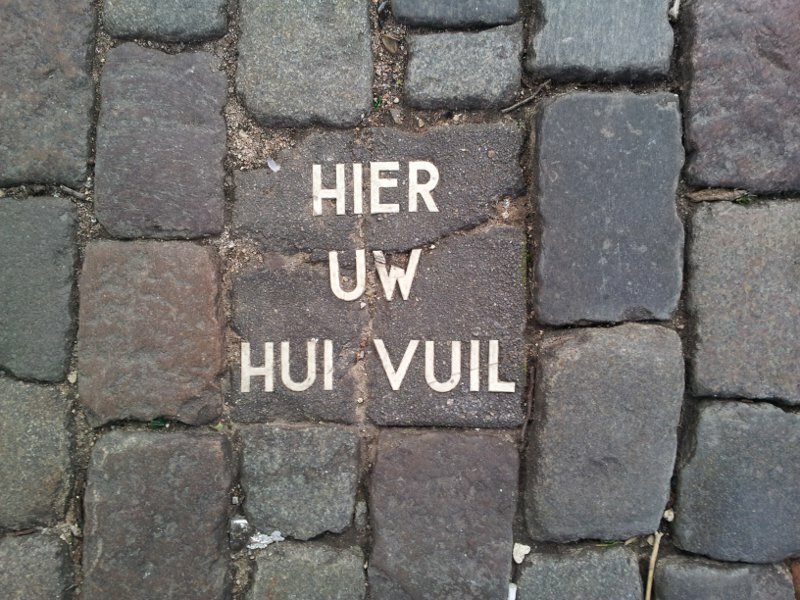 In fact, it says “Hier uw huisvuil” and it’s a marked spot to leave the rubbish bags on. Here are more pictures with no letters missing. 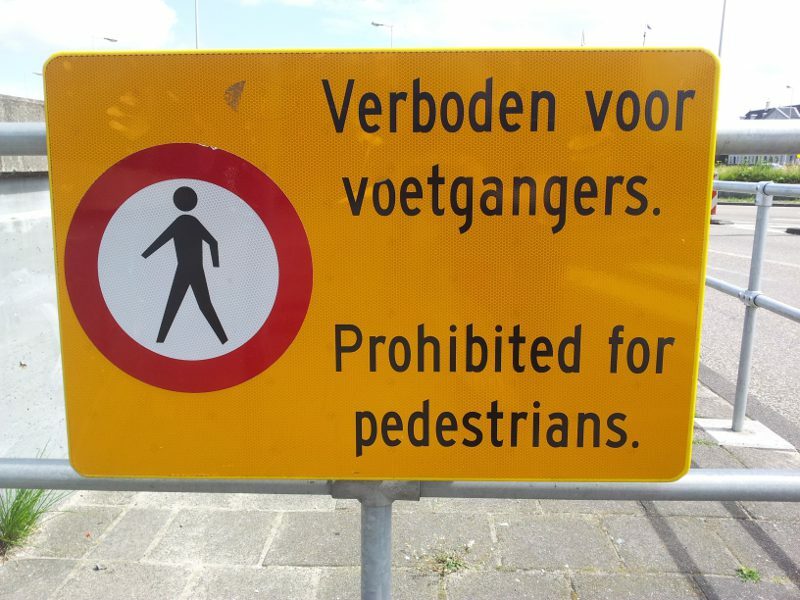 I took some pictures of the street and road signs during my recent trip to the Netherlands. I am going to publish them here. My plan is to try to translate each sign as literally as possible. The pictures are not of a great quality as I was taking them with my mobile phone and mostly on the run.